By Chris Williams: Before the great Floyd Mayweather Jr. (41-0, 25 KO’s) agrees to fight WBO welterweight champion Manny Pacquiao next year or whenever, Mayweather wants Pacquiao to be drug tested for performance enhancing drugs. Mayweather doesn’t want to take any chances with Pacquiao. There it is. 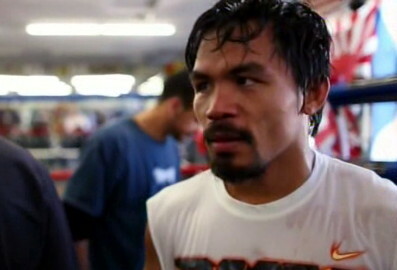 Mayweather has laid down the gauntlet for what he wants before he’ll step in the ring with Pacquiao. Mayweather is saying he doesn’t care how much money is on the line, above all he wants Pacquiao tested for performance enhancing drugs. Looks like there’s no way around this issue. Bob Arum, Pacquiao’s promoter, is going to have to get with Pacquiao to try and come to an agreement with the USADA testing that Mayweather wants before he’ll step in the ring and fight Pacquiao. If Pacquiao and Arum can’t agree with those conditions, then Pacquiao needs to be satisfied with fighting Miguel Cotto again, Timothy Bradley, Mike Jones and some of Arum’s other Top Rank stable fighters. Who knows? Pacquiao could go back around the table and fight Top Rank guys Antonio Margarito and Joshua Clottey once more, and maybe squeeze in a third mismatch with Cotto. I can just see how bad the pay per view numbers will be by that time.